Hello folks! Guess what number this post is? That's right, I've posted 200 posts on this old blog! Okay, it isn't really old, not yet. Today I looked back at all my old posts. Haha, some of my posts at first weren't so great. But I'm so glad I took pictures & blogged about my life in Egypt! Even though I was sick it's great to look back at those posts. It seems like we've been back in the States for a lifetime, but then when we lived in Egypt that didn't seem so far away. Aren't they beautiful? 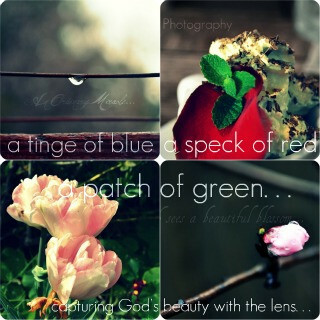 Grace captures God's creation very well! Would you like to win a 4x6 photo of one of these flowers? Just read the rules below & look at the ways you can enter! Only people living in the US may enter. I don't want Grace to pay extra to ship since she's already giving the winner something. I hope you gals overseas will understand! You must claim your prize in a week & give me a way to contact you in your comment. Comment telling me what was one of your favorite posts on my blog & give me your email or blog link so I can contact you if you win. 1+ each mention this giveaway in a blog, twitter, or facebook post. Please leave me your link. Well, that's all! Good luck. My favorite post of yours is: http://ismikendra.blogspot.com/2010/11/thanksgiving.html. I really like that one, though. xD and I love your recent one, "Untitled" :D And you know how to contact me. If you don't then you are in trouble! My favorite post??? The one when you said you were moving back to the states!